The problem with democracy is when citizens start sticking their noses into the government’s business. No state is more under siege than ours. There are four measures on the November ballot placed there by malcontents. As if we can’t trust the Legislature to do what’s best for oil billionaires. That sort of thinking threatens to undermine our way of life. If you don’t love North Dakota, you should move to Oklahoma or Texas. While you’re there, you can visit your oil tax revenues sent there by the Legislature for safe keeping. It’s sort of a rainy day fund for when former state officials need a seat on the board of directors and stock options — a free market approach to pensions. The main reason I hope Heidi Heitkamp defeats Kevin Cramer is curiosity. I want to see how quickly he gets a job from Harold Hamm. Measure 4 would grant volunteer emergency responders free personalized license plates. The problem is in small towns almost everyone will end up with personalized plates. So much for exclusivity. Measure 3 would legalize recreational marijuana. In a recent Forum poll, 79.3 percent of respondents agreed. Another 18.7 percent were adamant opponents of recreation. The remaining 2 percent were speaking into the wrong end of the phone. 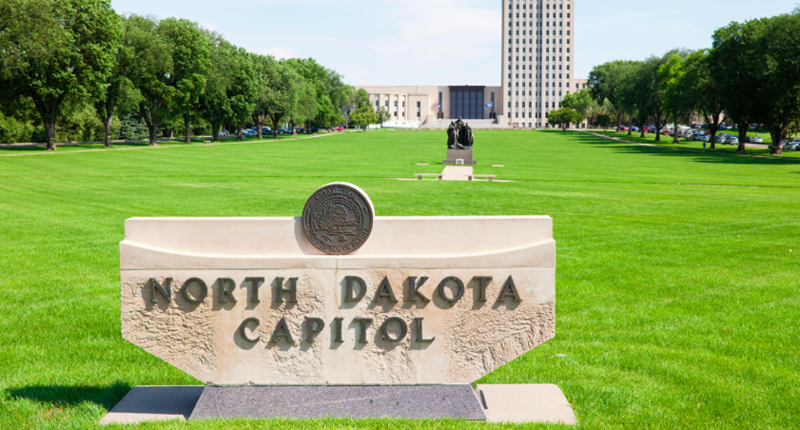 The North Dakota Peace Officers Association recently voted to oppose the measure. Boy, that came out of nowhere. But their concerns are well-founded. If this is passed, it’s going to severely affect the wildly successful Stutsman County Catch and Release Program. A deputy twice confiscated bales of marijuana, although the probable cause assertion that the suspects “looked kinda not white” didn’t’ hold up in court. Measure 2 will ban all noncitizens from voting. In the June primary, more than 80 percent of eligible voters banned themselves. If this passes, it’s going to put poll workers out of business. Could it be more obvious that we need noncitizens to cast the votes that citizens won’t? Without them our politicians will rot in the fields. You don’t have to be a Stutsman County deputy to know that there’s a whole lot of foisting going on. For instance, did you know a mere 90 percent of North Dakotans are white? I don’t want to say people of color are taking over, but they’re taking over. Finally, Measure 1 would form an ethics commission in North Dakota. In a recent debate, the measure’s proponents faced off against a legislator and someone from the oil industry, which is not only a remarkable coincidence but possibly redundant. Other legislators were unable to attend as they were on fact-finding missions to Costa Rica, the Bahamas, Antigua and Oklahoma City. At the debate, Rep. Jim Kasper R-Fargo, branded the measure unnecessary and a “witch hunt.” Disappointingly, he didn’t get around to calling ethics “the enemy of the people.” He did promise to introduce his own unnecessary ethics bill in the legislature, something Democrats have unnecessarily tried to do every session since 2011. Kasper is getting too darn liberal. The way I see it, ethics are a threat to our democracy. If you can’t buy all the votes you can afford, is this even America, anymore?